Automate manual IT tasks and workflows across physical, virtual and cloud-based systems. Rapidly move from your on-premise data center to the cloud. Ayehu’s integration with VMware allows administrators to take multiple VMware snapshots of any number of servers – automatically and at any time. Schedule the VMware snapshot workflow to run at any required time and interval, or run it on demand using SMS, email or a self-service portal. 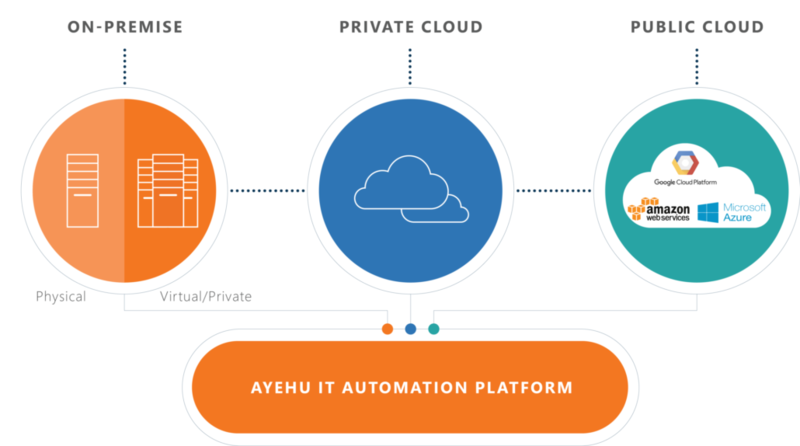 Ayehu’s IT process automation and orchestration platform is designed to automate manual IT tasks and workflows across physical, virtual and cloud-based systems. Using a simple-to-use drag-and-drop designer, automate service and infrastructure provisioning, change requests, support services, user management, alerting and more. Drastically reduce electricity costs of multiple network-connected workstations and servers by automating remote computer shutdown, standby or hibernate modes. The Ayehu automated workflow can be scheduled to run on a regular basis at a specific time of day and enforce energy savings during off-hours.